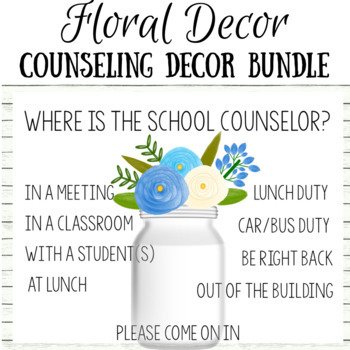 Spruce up your counseling office with this chic and clean floral themed decor bundle. This decor is great for students of any age or grade level. 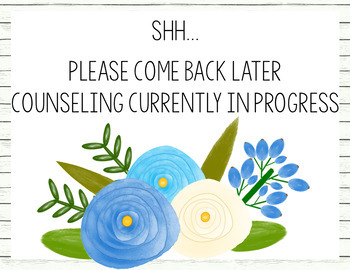 It features calming and simple colors and graphics perfect for creating a cohesive and soothing environment, while still being trendy. 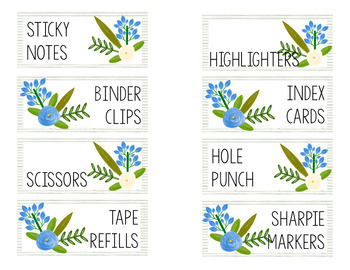 Graphics by Things By Lary and La Lady Bug Ideas. *Note; In order to use the editable products properly you will need to download the font KG Sorry Not Sorry which you can do for free here.